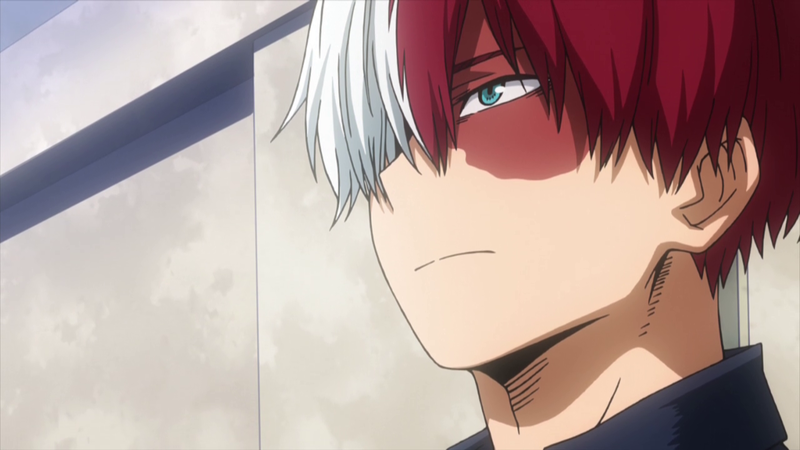 My Hero Academia wrapped up the UA Sports Festival arc, and with it the first cours of the second season. 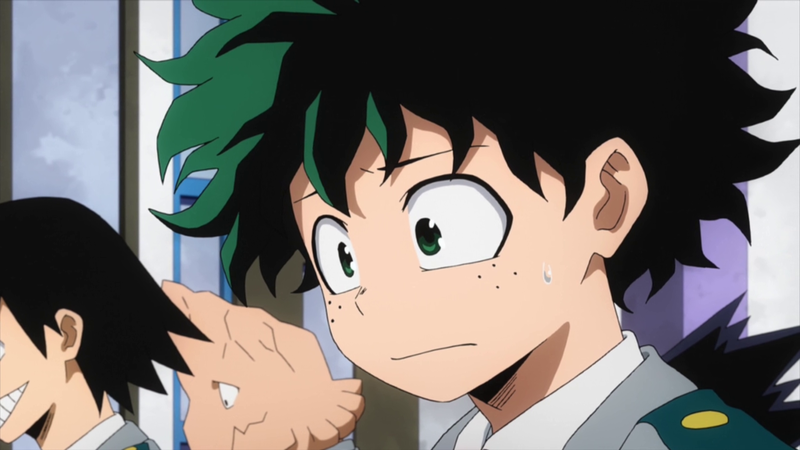 Hard to believe we’re already halfway through, but time passes quickly…particularly so with HeroAca, since its episodes always seem to be over the moment you blink. Let’s take a look on the production highlights but also the low points of the latest three episodes. I wonder how many of you recall the last paragraph of my episode 21 post, where I noted that I would like to see an outsourced episode handled by studio Snowdrop. As it turns out my wish came true almost immediately, and the result was fairly satisfying! 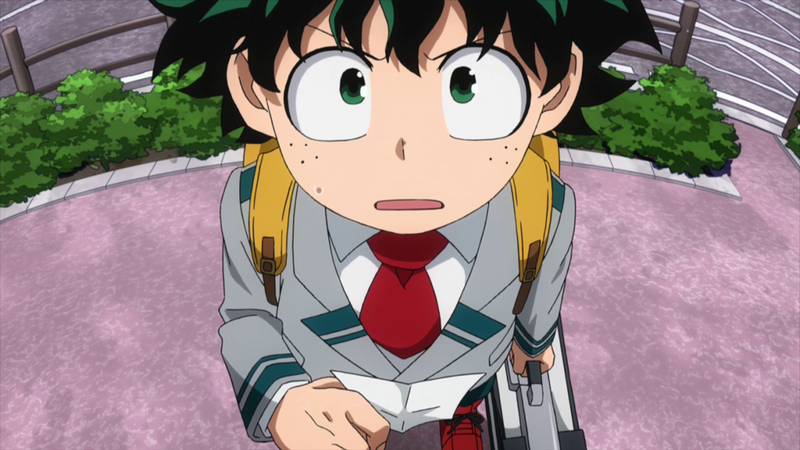 The studio itself wrote a blog post about their involvement with the production; at first they were worried whether they could pull off an entire episode on such a high-profile, action-packed series, as they’re a relatively small company that isn’t often entrusted with action material. However, in the end they managed to handle all the key animation by themselves. Snowdrop specifically pointed out how immensely helpful the episode director Toru Yoshida was. He’s a popular mecha animation veteran, as well as a storyboard artist and director working under Osaka-based studio Anime R. They were known as a mecha animation powerhouse during their golden age era in 70s-90s, so fans of those titles might not be surprised about Yoshida’s link with them. And since Snowdrop (physically based in Kobe, which is approximately 13 minutes by train from Osaka) doesn’t seem to have a director with the skills required to supervise action layouts, they occasionally ask Toru Yoshida to step in. 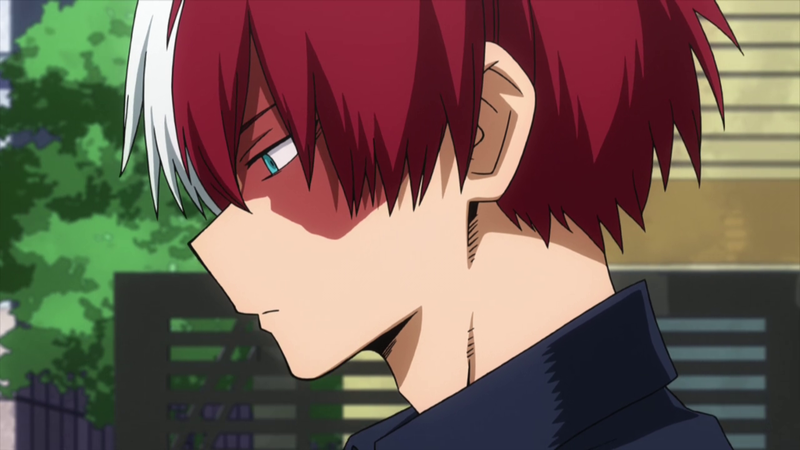 Now a bit of trivia – chief animation director and member of BONES’ board of directors Takahiro Komori also originates from Anime R, where Yoshida was his senior. 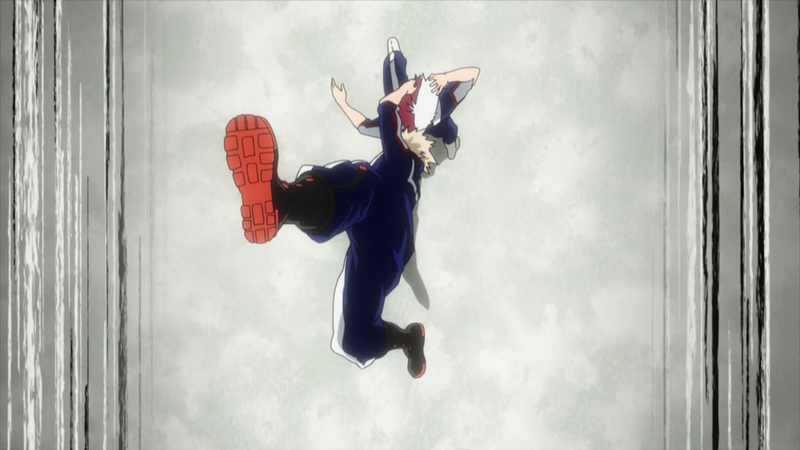 This episode wasn’t actually the first time Yoshida worked on HeroAca. 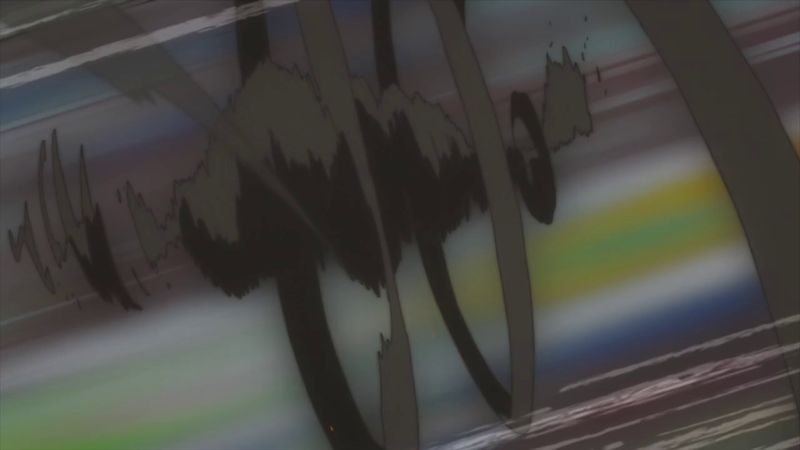 Subcontracted directly under BONES, he drew storyboards for episode 4 and most of episode 12 of the first season. 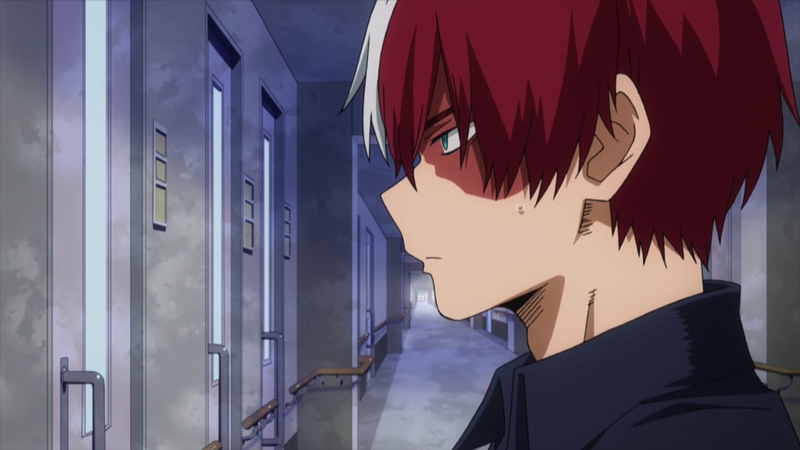 This time however marked the return of episode 18’s Ken Otsuka to the storyboarding duties. Otsuka has roots in another mecha animation powerhouse of 70s-90s that has now fallen from grace: Nakamura Production. It was amusing to see both Yoshida and Otsuka working on the same episode despite the circumstances around their involvement being unrelated, and not even being related to the subject matter both of them are famous for. Production minutia aside, Snowdrop’s crew did a solid job; not a parade of particularly inventive animation, but a satisfying episode nonetheless. 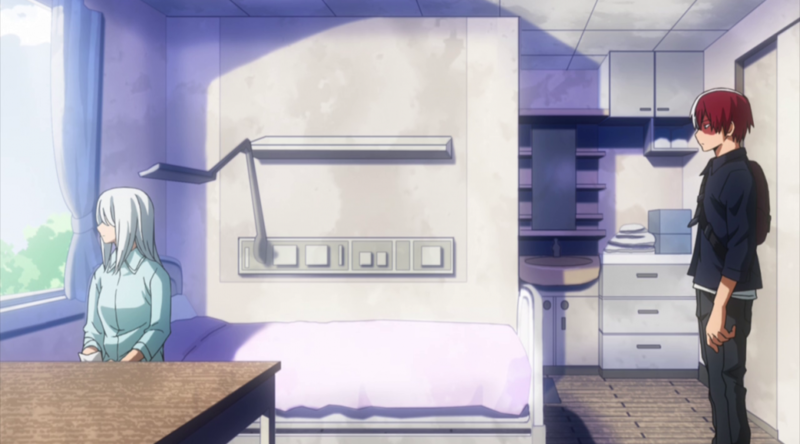 It felt like it was always in the hands of competent animators given enough time, which nowadays sadly seems too much to ask for from the outsourcing companies. Thumbs up from me! Yoshihiko Umakoshi supervised first half of the episode while Takahiro Komori handled the latter, once again splitting the workload. This episode’s team was a huge shocker to me. It broke the perfectly functional staff rotation, and I struggled to find a single reason why…until I saw the credits of the second OVA, which was handled by the animation director duo of Kodaira and Murai plus production assistant Maruyama. It was their turn in the rotation, but they were assigned to the OVA instead of episode 25. Updated production process chart, which tells us at which point the second OVA was produced. Thankfully, that occurred months ago since the project has been quite ahead! Next on the list was production assistant Masayo Kushida, who indeed handled this episode together with episode director Satoshi Takafuji. Takashi Mitani, Takaaki Izumo and Saki Hasegawa (for reasons unknown to me) replaced Kazumi Inadome and Yoshiyuki Ito on the animation direction seats, although Inadome still appeared at the top of the key animation list. Perhaps they simply traded places in the rotation, because episode 27’s preview shows signs of Yoshiyuki Ito’s touch. It could possibly be his last episode in the series, as I’ve recently found out he has already moved onto another BONES production. But let’s return to the actual episode. This was Ken Otsuka’s second consecutive storyboard, so I’d like to highlight his ability to stage action scenes. 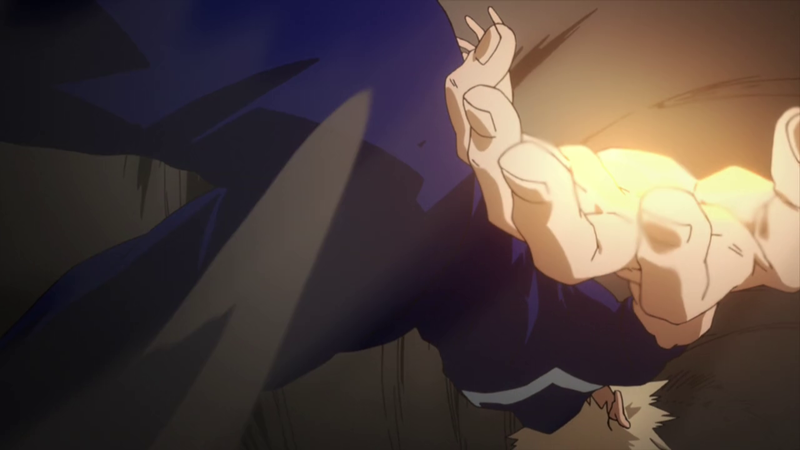 He isn’t afraid to insert troublesome angles, which is always risky since some animators might have a hard time nailing the perspectives. But I wouldn’t call his storyboards too hard to animate either, and that’s very important; as a veteran animator himself he can judge how feasible they are to properly draw, and that’s why he carefully aims at a balance between simple and attractive difficult shots. As per the show’s standard, his work is still very faithful to the manga, but unlike others he chooses to tweak the panels rather than perfectly copying them. His effective use of camera movement makes the finished scenes have very precise cut-to-cut flow. This moment animated by Keiichiro Honjo encapsulates how effective his work is: even when limited by resources and source material, he crafts scenes with excellent progression. Otsuka exemplifies smart action construction. 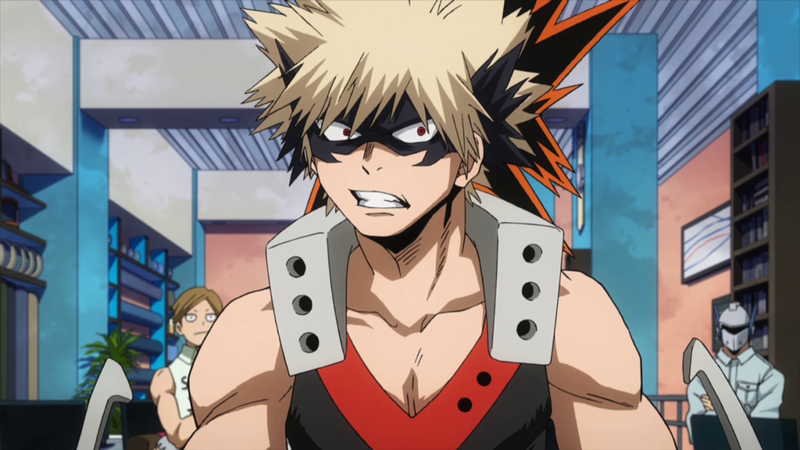 The animation highlight was without a doubt Takashi Mitani’s depiction of Bakugo’s Schneider Bomb. 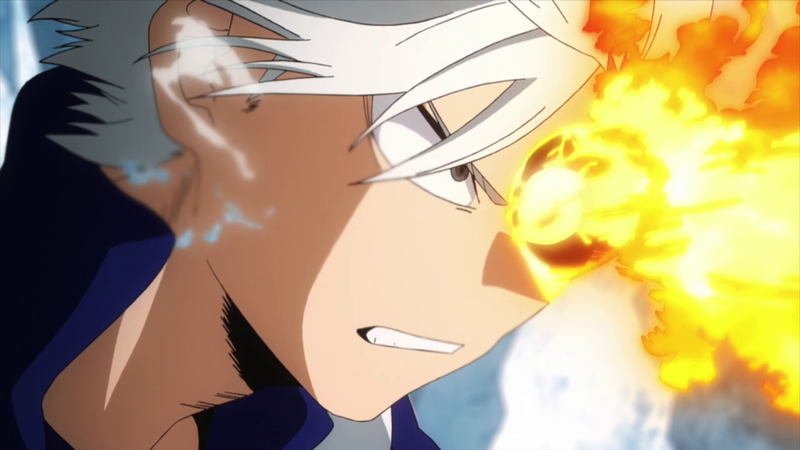 That climactic scene truly displayed his specialization in 2D effects; from the very particular shapes of fire and smoke to the bulbous explosions and usage of impact frames clearly inspired by Yutaka Nakamura, I’d easily call it his most outstanding work to date. 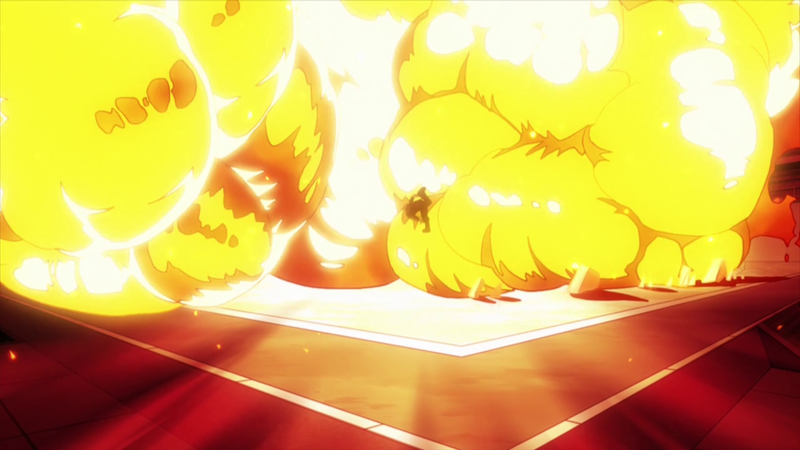 I’ve said many times before that Mitani felt like an egg of a truly fantastic animator, and this scene might have been his explosive eclosion. 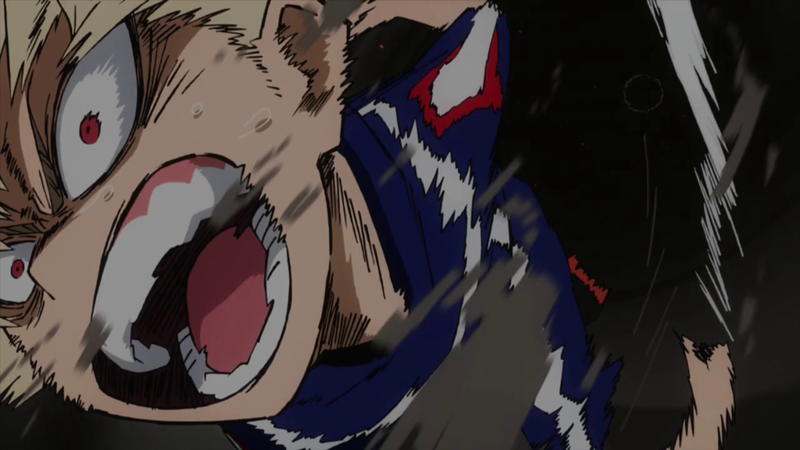 Umakoshi’s corrections on Bakugo’s finisher were the cherry on top. And since we’ve brought that up, the number of shots corrected by Yoshihiko Umakoshi himself was especially high in this episode, though that doesn’t come as much of a surprise as this was UA Sports Festival’s finale. While a normal animator wouldn’t have been able to pull this off so soon after directly supervising an episode, this is Umakoshi we’re talking about. 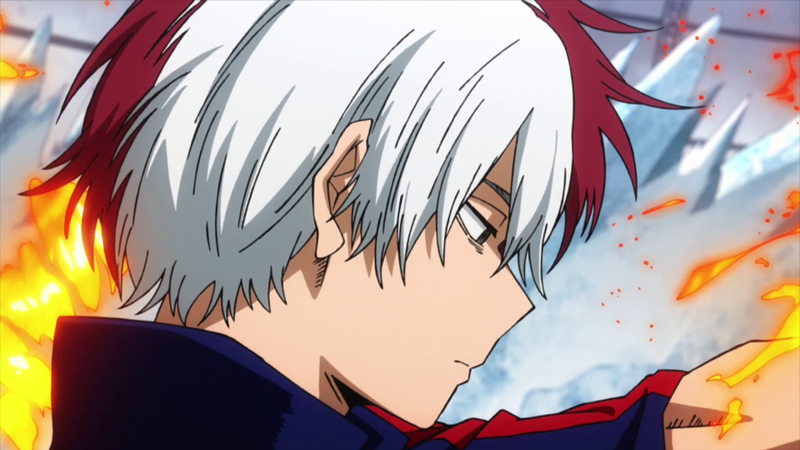 The main focus was certainly on Todoroki, and it was most noticable in the profile shots of him. The reunion with his mother also featured some particularly beautiful drawings. I wonder how many unrequited crushes Umakoshi is responsible at this point. Ending this entry on a high note, the opening director and storyboard artist Yasuyuki Kai appeared in the credits as Action Supervisor. What this role exactly entails differs depending on each production’s needs, but given his placement in the credits between storyboard artist and episode director, he was probably in charge of supervising the layouts of the action scenes. I suppose that he worked on this episode right after finishing the opening sequence, which certainly proves how healthy the schedule has been. Here’s hoping he’ll stay involved! Now this was the episode that the show decided to ruthlessly sacrifice – on a production level that is, I still hand a lot of fun with it! Just like their previous outing on episode 19, Nomad comes off as your average outsourcing company…which is the polite way of saying not good at all. Now that we can compare their output to Snowdrop’s, it’s clear which studio comes off as the stronger one. Subcontracting companies are in an awkward spot since they usually operate in subpar conditions (even in a healthy project like this), so unless they’ve got talented individuals and excellent management sense, things go wrong quickly. Yoshihiko Umakoshi barely touched this episode despite still being credited, so it was up to the other chief animation director Takahiro Komori to rescue and polish as many drawings as possible. He focused on the character close-ups and important cuts such as the Class A students presenting their hero names. Too bad it’s beyond any individual animator’s abilities to correct every unsatisfying drawing on a TV production. 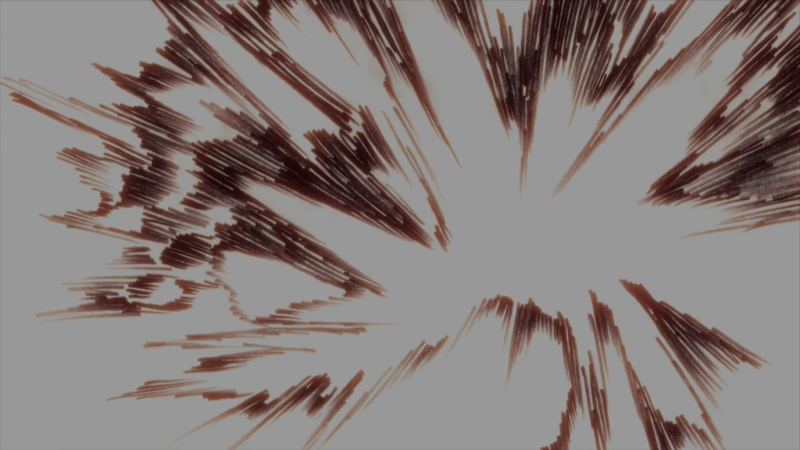 The storyboard was in the hands of Satomi Nakamura, who coincidentally also storyboarded another episode outsourced to Nomad in season 1 (episode 8 to be precise). She’s a regular studio BONES collaborator closely tied to Sub-studio A in particular. Recently, she’s been regularly participating on the Yokai Watch TV anime as well. BONES’ own Takuhiro Kadochi, who handled episode 17, directed the episode. Experienced Nomad animator Makoto Koga – renowned for his work as the animation character designer on Aria (2005-2008) – supervised the animation. I you feel the comments on the creators this time are drier than usual, it’s simply because their work wasn’t inspiring in any way. It’s disappointing Nomad’s animation crew wasn’t able to match the quality of BONES’ in-house staff at all. And this bittersweet entry ends my coverage of the first cours! 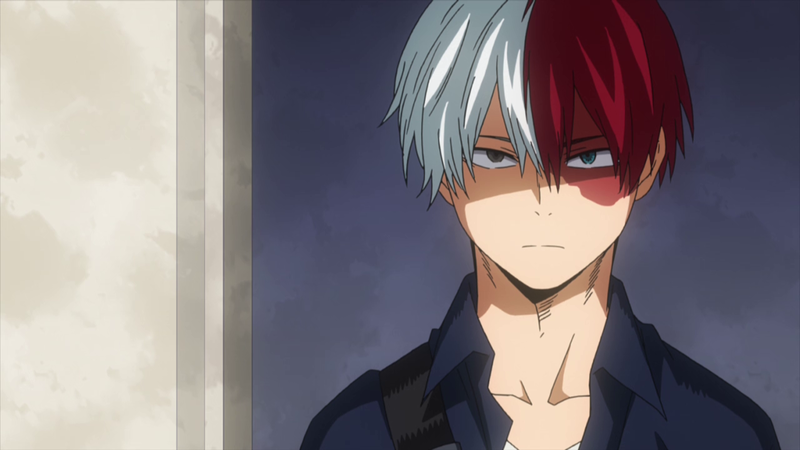 We will now have to endure an extra week of waiting for the next episode, although brand new opening and ending sequences are awaiting as the reward for our patience! TOHO animation uploaded a teaser for the upcoming arc and by the looks of it, there will be plenty of things to cover. See you then! liborek, I love your coverage! Keep it up, please!